If you follow me on instagram (@_moda_md or #instadaily) you know that I love to eat and try new places, particularly in Pasadena, just about as much as I love, well, eyeballs and pretty dresses. One of the goals of Moda is to encourage you to explore new fashion, but also your passions in general so I thought I'd do another sort of In the 'hood post with a few of my recent favorite nibbles. I love Ramen and was so excited when Tatsunoya opened. I like spicy Ramen with an egg. A new favorite of mine is Bone Kettle -- it is BYOB (so stop at Everson Royce first) and also the ramen alone is delic. I like adding some protein too and my favorite is the short rib. Apparently I am on an Asian kick because I also had a late night sushi craving and was pleased with Sushi Enya. I could have eaten 12 of these spicy tuna fried rice. 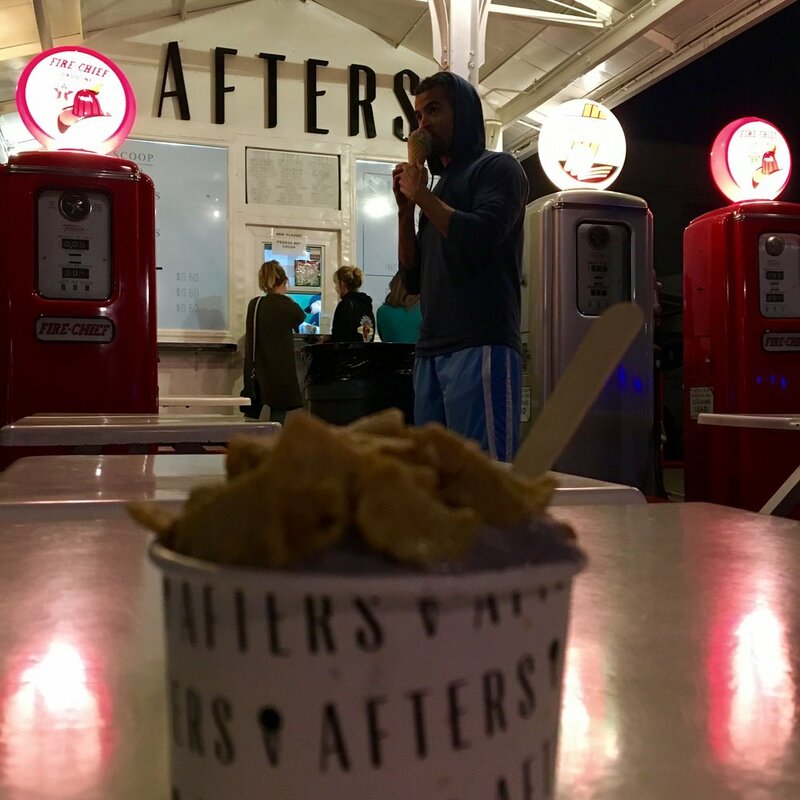 My go-to after dinner treat is Afters (love, love this place -- I get the jasmine milk tea ice cream with cereal on top) and the retro vibe is super cute. Finally, I mentioned Lavender and Honey last time (and that is truly my favorite) but a very close second for an AM latte is Copa Vida (just go early! It gets packed!). Hope you enjoy trying a few of these places as much as I have. And let me know if you like these LA/Pasadena posts or want me to focus on those pretty dresses!